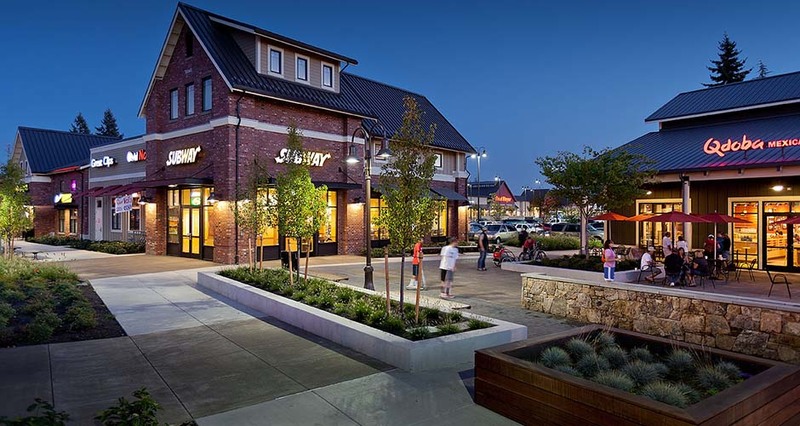 Mackenzie provided architecture, landscape architecture, traffic and structural engineering for this mixed-use project that incorporates workforce housing, small retailers, dining and anchor tenant Fred Meyer Stores. This site, a 17-acre historic orchard, is directly adjacent to the Old Town Historic District and growing urban center. As part of the design process, Mackenzie staff participated in an extensive series of community workshops, Design Review Board presentations, and City Council meetings. 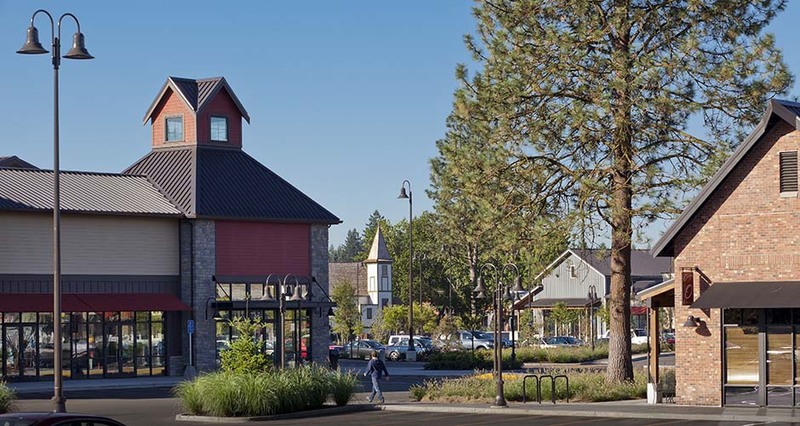 The goal of the adjacent community, the City of Wilsonville, and the developer was to create a design that recognized the unique historic character of the site, preserved natural features, and developed a sense of community. Unique site attributes included a mature black locust grove, a historic church, and numerous large fir, cedar and Ponderosa pine trees. 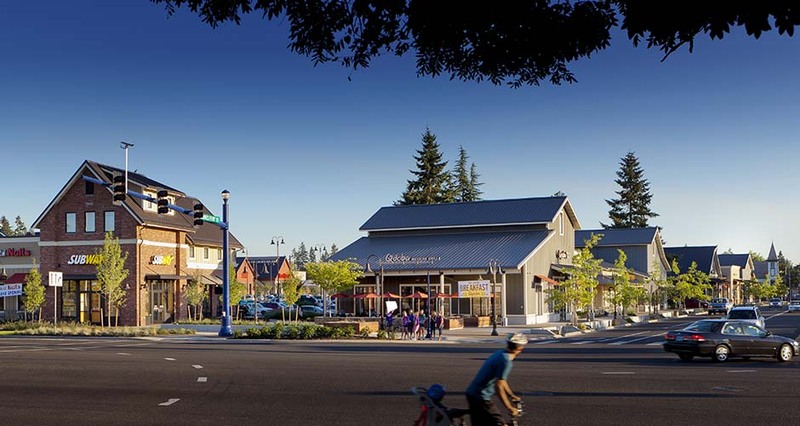 A linear park was developed adjacent to Wilsonville Road and Boones Ferry Road to provide pedestrian connections, and includes a series of four plazas to create community gathering areas and provide for retail amenities. 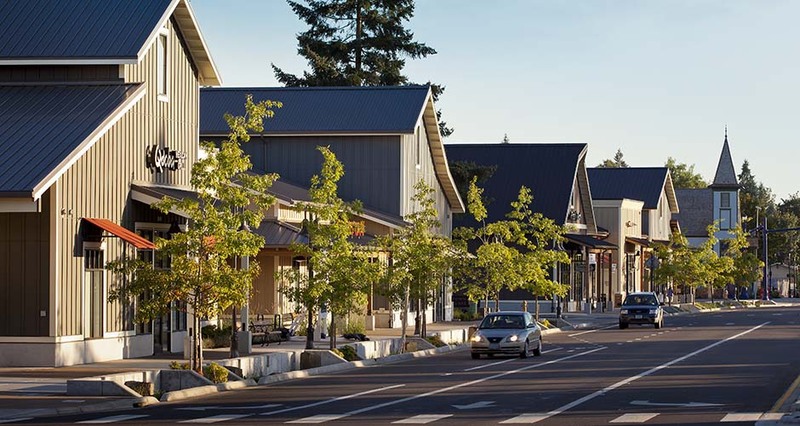 Sustainable practices included a public/private partnership effort with the City of Wilsonville to create a series of stormwater planters along Boones Ferry Road, extensive on-site water treatment features, and preservation of numerous existing trees. 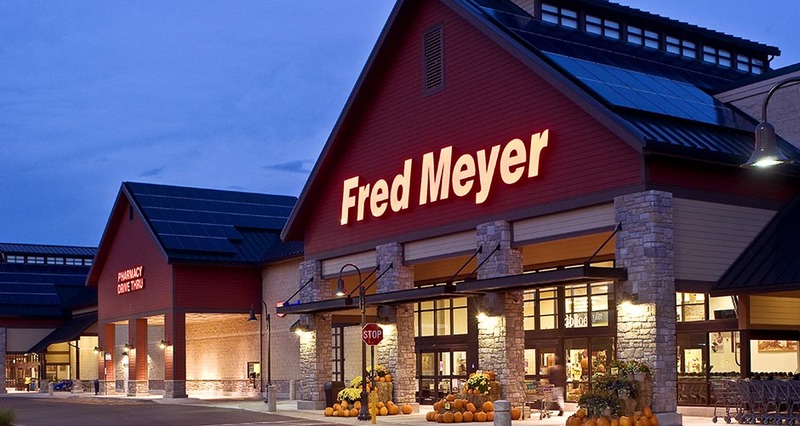 Mackenzie provided full core and shell design services and construction contract administration for the anchor tenant and retail pad buildings, as well as tenant improvement services for Fred Meyer Stores. 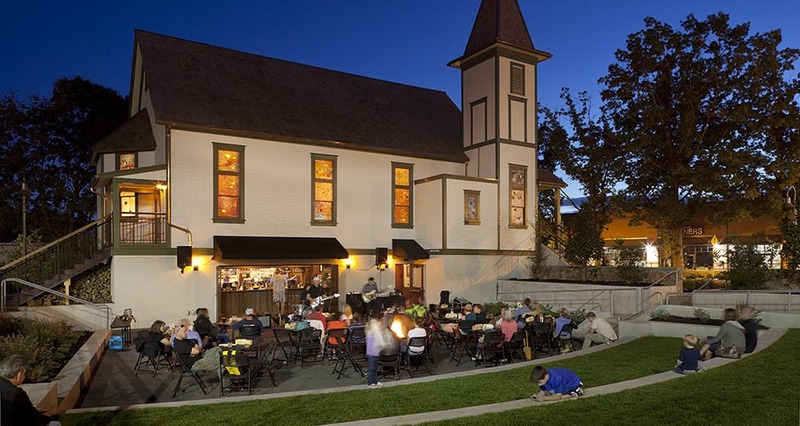 The firm took the development’s 56-unit mixed-use apartment building through schematic design and the entitlement process and provided site design services for the McMenamin’s restaurant in the site’s old chapel. In its recently released urban design guidelines for retail and mixed-use developments, METRO highlighted Mackenzie’s work for the Old Town Square project as an example of innovative renovation and reuse design.